Have you been wanting to know how to create cool, cute and creative quotes but not quite sure how to do it? We have a little guide with some fun ideas to help. Whether it’s to welcome in a new season or just a motivational Monday mantra—we teach you how to combine fonts, images, and filters to achieve the ultimate Canva quotes. It’s hard to get tired of beautiful graphics featuring a palm tree paradise, liquid gold sunsets or snowy capped alpine vistas! Quotes about seasons are design subjects du jour! Image: Choose your image wisely—with context to the quote you have chosen. 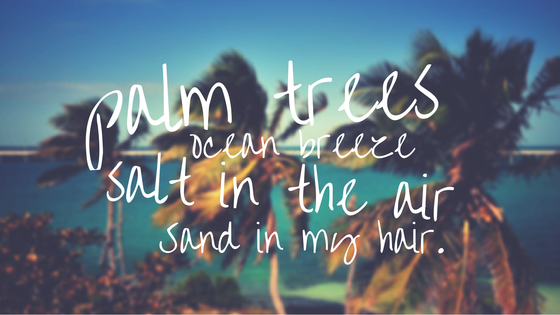 Use keywords like beach, palm trees, sunset, and sand. Filter: Make the features of your image shine by either using the season appropriate filter (like Summer) or adjust the saturation and x-process sliders advanced section to get the right seasonal effect. Check out How to use photo filters to enhance your images to learn more tips and tricks. Font: Choose your fonts as lightly as your summer attire. Handwritten, aloof typefaces, slightly rotated help execute this cruisy aesthetic. Creative key: Use a little blur and transparency to get an extra ethereal and sandy texture. 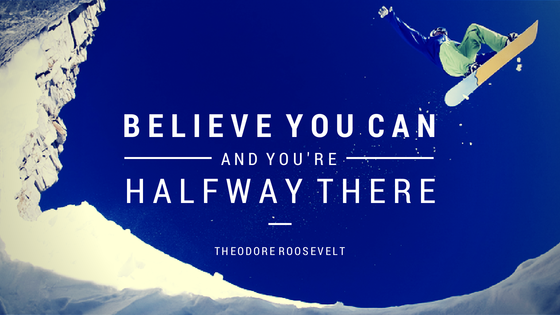 Everyone loves a Monday mantra or quotes of encouragement by one of the greats! Image: Objects or landscapes that symbolize optimism like adventure sports, sunrise in the sahara and alike, are great motivational images for this sort of application. Filter: Remember to keep it vivid! Enhancing the brightness of the colors in your image, so that the blue skies are electric and the grass is green will help get your inspirational message across. Creative key: Apply caps to create emphasis and play with scale, this allows typographical hierarchy (see type glossary). Good design helps get a message across, making sure the tone is conveyed through the graphics is an imperative factor in the execution process! Image: In this case it’s nice to use an image applicable to the quote itself or use a background color, pattern or texture. Working around the image itself applying a ‘text wrap’ effect can enhance the feature of the image (such as the puppy). Filter: Humor and enthusiasm are evoked when you apply warm filters to your images, use the advanced sliders to adjust the tone of your image to create a warm, friendly tone. Don’t overdo it, just take the edge off by giving your image some extra saturation or changing the tint. Font: Remember typefaces help punctuate act a linguistic tone. If the quote is has a dry tone, like the one here, a sans serif is a nice way to convey the voice (Josfin Sans Bold and Josfin Sans Regular). 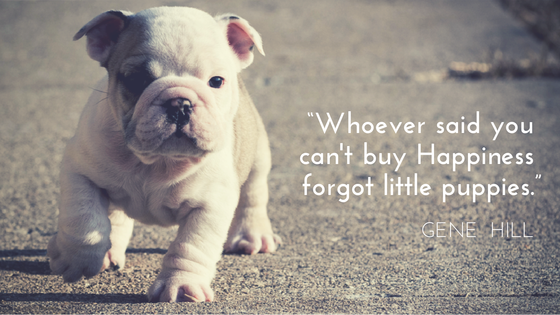 Creative key: Alternatively, if your quote has a more childlike humor, choose a font with embellishments or symbols (like Princess Sofia). Brighten someone's day with a fun quote, like the Blue and Green Dots Margarita Day Quote Instagram Post and Funny Coffee Quotes Instagram Post templates. 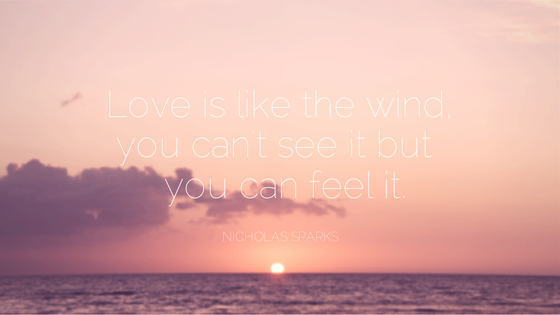 Whether it’s a Nicholas Sparks quote from The Notebook or a hopeful Shakespearean sonnet—we are all suckers for words of passion and love. Image: Using photos of a couple in embrace is a good start, but remembering romance has ‘never ending’ connotations so choosing a metaphoric image to symbolize this is even better! Flowing rivers, fluffy clouds or infinity signs are some good visuals for this theme. Filter: Love is blind, so don’t be scared to blur the image a little—it will represent this angle nicely. Shift your advanced tint sliders to create a pink, romantic feel (and enhance the beautiful sunset). Font: Elegant serifs like Parisienne and light, fine ones like Raleway Light (used here) are a great way to execute the warm tone of lurve. Creative key: Gradients have a soothing effect, and finding an image that grades from one color to another is a clever way to evoke emotion. 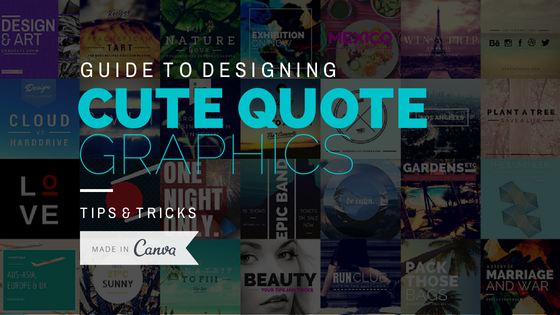 Now go ahead, stretch your creative wings and create funny, motivational, sunny, and loving quote graphics on Canva!